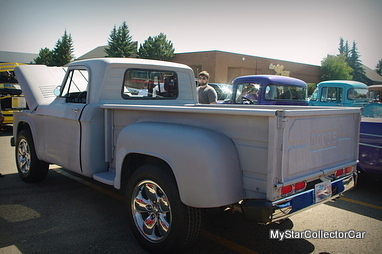 Don Fisher is a retired mechanic with a long personal history behind the story of his 1967 Dodge D-100 pickup truck. 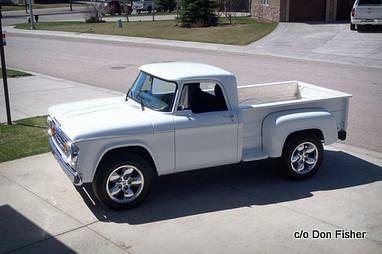 These old school Mopar trucks carried the same basic body style through the 60s and into the early 70s. 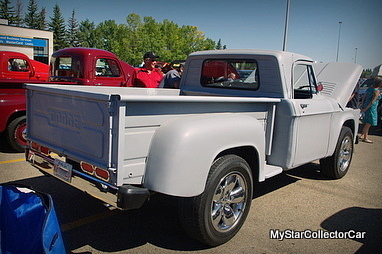 These retro-Dodges are not common at shows and draw a great deal of attention whenever one of them attends an event. Don’s truck was even more unique because it was clear his 1967 Dodge truck was a smooth blend of old and new Dodge trucks when we spotted the new Hemi under the hood. Ironically, it turned out Don was first introduced to the truck as a young mechanic when he serviced it for his future father in law. 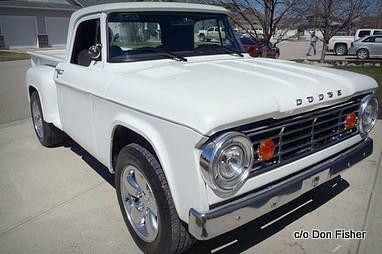 The Dodge was a farm truck and Don was well acquainted with it before he even became a part of the family. Don commented that “nobody has touched the truck except me” and he had obviously become attached to the old Dodge over the years. Eventually Don had an opportunity to purchase the old truck after it was retired from active use and keep it in the family. 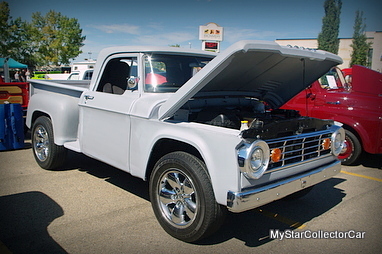 The question at that point was the game plan for the truck and Don came up with a big winner when he decided to re-build the truck with a modern power-train. 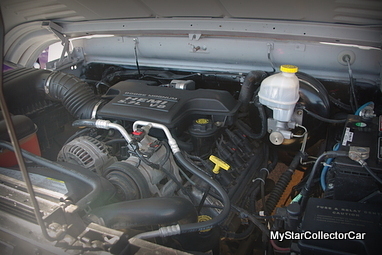 Don found a Hemi-equipped 2003 Dodge truck buried in a snowbank and available for a reasonable price. The wheels started to turn for Don and he decided he could take all of the running gear from the ’03 truck to use on the 1967 truck. In fact Don decided to use the entire chassis from the ’03 and everything else from the newer truck except its body for the older truck’s transformation. The width is the same for both trucks so Don had that factor in his favor before he tackled his project. People with a skill set like Don’s make things sound easy and his comment that all he had to do was “cut 5 wires” is a massive understatement. The project required some serious metal cutting and a lot of welding to merge a 21st century truck with one from the Summer of Love. Don cut the box by a foot and a half so he could match the ‘67 body with the ’03 rear wheels and then added step sides for a stylish look. 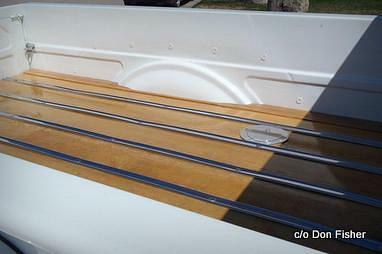 He also added a reinforcement bar under the dash so he could position the new truck’s dashboard into the old truck. 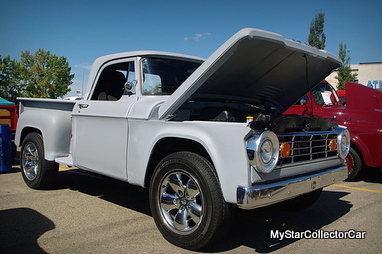 The move was necessary because he wanted the truck to be an ’03 wrapped in a ’67 skin, complete with all of the computerized engineering found in the 21st century truck. Three rolls of Mig rod, a lot of sheet metal, and Don’s belief that if “you do it 5 times-you get it right the 5th time”, got his fabrication obligations to the finish line on the truck. He did catch a break on the inner front wheel wells because the ’03s bolted right into the ’67 wheel wells. 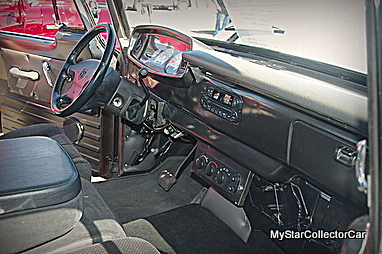 The old truck now has plenty of creature comforts because Don added the new truck’s air, cruise and intermittent wipers, along with a CD player. Don was understandably proud of his resto-Dodge that only took him a year and a half from start to finish. He has reason to be proud because his family heirloom has reached a whole new level of coolness.